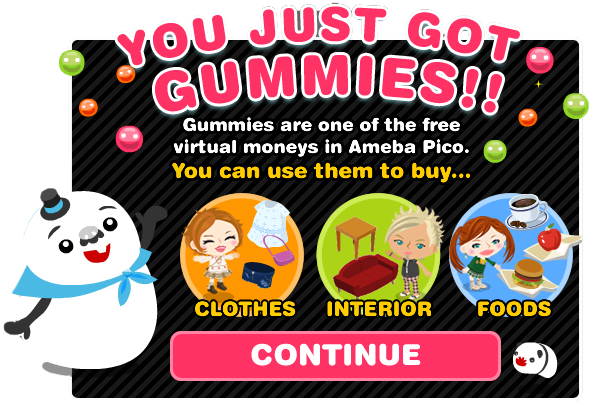 Ameba Pico had just resumed and parks turned back to normal. I checked every places in Pico specially the Casino Area and it was complete. 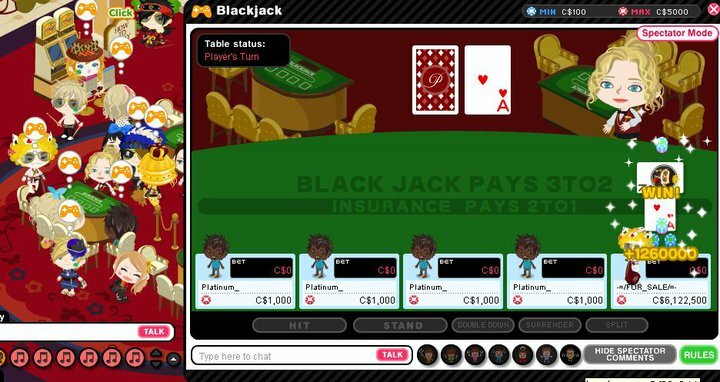 After 5 minutes, I received a message from my friend and she asked my if i have Black Jack Area and when I checked it again., it was gone... so she asked my to follow her there. 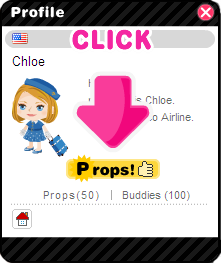 After we rock there in my room 2, Clover made an event for a fashion show and look! This is the new design of his room. At first I thought it is the Fashion Show in France Park but no... it was his room XD LOL. But not really, this is not for fashion show but for band :3 He actually performed on the stage while people were coming to watch him. LOL. Well, of course... as our usual routine is completing our gummies right after our meter refreshed. We started on my twin`s house. And Yeah, she made an event about her foot ball house and many people came. LOL. She earned 25 rings within 1min o_O Gosh. I miss that! LOL. Then after, together with Matt and Clover. We went at cafe in France to get a star together but.... We`ve been waiting for more than a minute and the waiter isn`t coming!! Until we decided to go and check the other server cuz the waiter looked stocked. And at the other server, the waited served us buy Mia and I wasn`t able to get a star when we drink the water TT__TT. Well that was other pico`s water drink. hahaha! We stole it. So take note: Drink your won drink to get star!! And it`s been a while since we saw my dad. I think he`s busy in real but it`s a good thing that he could still go online. I introduced Clover and Matt to dad and it was the first time they meet each other. Of course, we won`t miss some picture taking! [New Shop] Fashion Show Interiors!! Meet our new friend Nicholas! He just opened a new shop-well pico- and he`s the one who manage it. 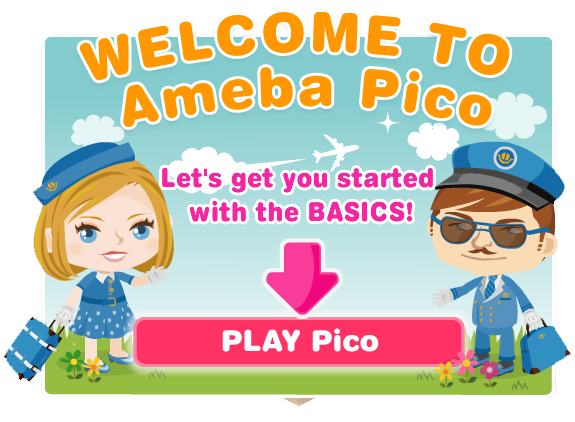 Well, these days... Picos are loving the events like fashion show so I think that`s the reason why ameba pico made a new shop! Well, isn`t that great for the fashion show addicts? I think they`ll love the new place since it has a stage! So now, every one could be a supper star! YAY! And I really enjoyed staying there together with my sweet lil sis! She even took a picture of me (I posted this on Ameba Pico`s Fan page on face book-> Click here if you want to see). Lol! I really want to become a model!